Traveling the world can be tons of fun as you experience new cultures, food, and landscapes. And traveling doesn’t have to be expensive! In fact, there are great resources out there to help you travel on the cheap. At StorQuest Self Storage, we’ve put together your ultimate guide to scoring inexpensive flights, so you can travel longer and take in more of the awesome world we live in. Remaining flexible with your travel dates is a crucial part of scoring inexpensive flights. A recent study at Farecompare.com shows the cheapest days to fly are Tuesday and Wednesday. 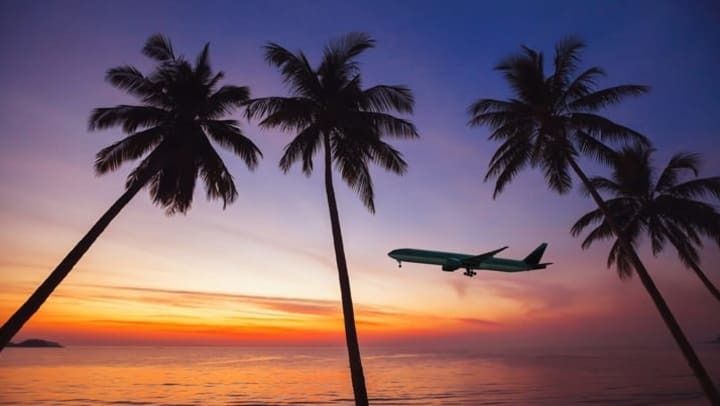 The study also found that booking three and a half months out for U.S. travel and five and a half months out for international travels gives you the best shot at discovering the cheapest flights. The best way to guarantee a great deal on plane tickets? Enlist the help of machines. There are tons of sites out there that can help you book the ultimate itinerary on the cheap. Google Flights is a great all-around resource that can even send you alerts when prices drop. Get on Travelzoo’s email list for killer deals on flights, hotels, and transportation. They’ll send you a weekly email of 20 of the best deals on the internet. And if you’re an impulse shopper when it comes to flying, sign up for Scott’s Cheap Flights, which sends you incredible of-the-moment deals on international flights. But move fast – they disappear quickly, sometimes within minutes. Using your miles is one of the best ways to make it feel as if your flight is almost free. Whether you’ve been spending the big bucks on your credit card to save up those travel points or you’re a frequent flyer for business, both are an incredible way to avoid breaking the bank on your airfare. Many of the frequent flyer programs are free, so why not get signed up and start checking off new places from your adventure bucket list? Rather than searching for the most direct flights, consider traveling via an airport in a nearby big city. Sometimes getting to your destination indirectly can save you a ton of your vacation budget. Say you’re flying from LA to London and the direct flight is $900. Maybe you could fly to Paris for $600 and get a $100 flight from Paris to London. That’s $200 you saved on flights and can now spend living it up during your European adventures. If you’re really lucky, you could even score a long layover in another great city to explore, all while saving money! Once you’ve booked your deal of a lifetime, bring your gear over to any of our convenient StorQuest locations. We’ll gladly keep an eye on your stuff while you’re out living life to its fullest and discovering the world.